With the announcement of the French Government to no longer sell cars by 2040 (neither gasoline nor diesel), it will be necessary to find an alternative to the current means of transport. Today, everyone imagines a future made of electric vehicles but nobody wants to recharge his car with a cable after each trip. If the autonomy tends to improve, we are still far from being able to cross France in Renault Zoe without waiting tens of hours next to the charging station. The solution would it then to find an alternative solution to fill the battery of his car? 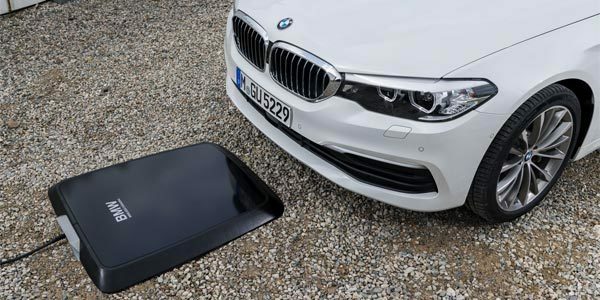 Thus we may soon have charging bases placed on the ground or integrated on the surface of a parking space or garage. It will obviously be necessary to define standards that all manufacturers will have to apply in order not to kill a promising technology in the first place. And here's how wireless charging works on a BMW i8 in the Form E safety car, thanks to a Qualcomm Halo charger. This video in English popularises the technical terms and it is possible to choose the subtitles translated into French to better understand.